How regularly I should optimize my campaigns. Which campaign elements require ongoing optimization, and how to make the necessary campaign adjustments. The key to successful Sponsored Product campaigns lies in regular optimization. While regular optimization leads to more profitable campaigns, it also requires a certain amount of time and effort. This, in turn, depends on how you structure your campaigns. 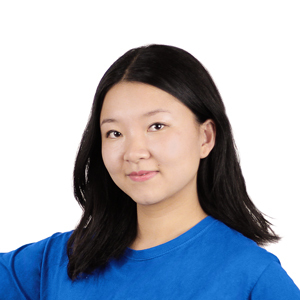 In the previous lesson, we recommended a structure that allows for an effective balance between efficient optimization and moderate effort. If you have not read the previous lesson yet, please do so first. In this lesson, we explain step-by-step how campaigns should be optimized on a regular basis. 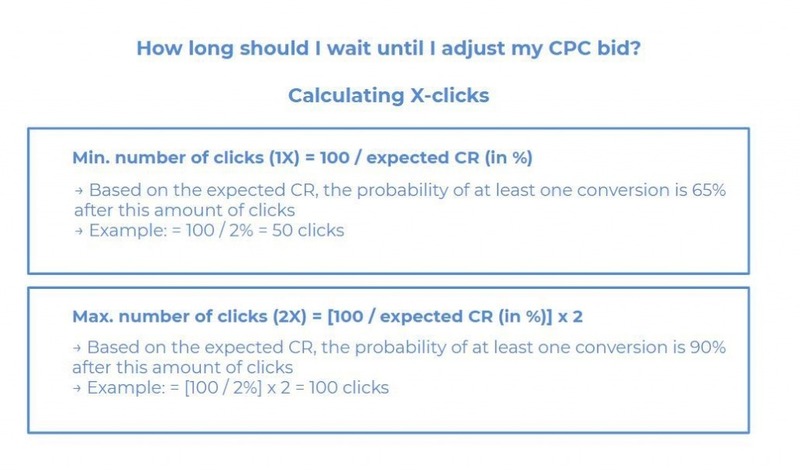 Please be aware that you should only make adjustments and optimizations when you have collected sufficient data (impressions, clicks, conversions, etc.). This is the only way that key figures such as ACoS, number of conversions, or profit are reliable enough to base your decision on. We generally recommend using at least one week to collect data for each element (e.g. search terms, keyword CPCs etc.) before making any adjustments. 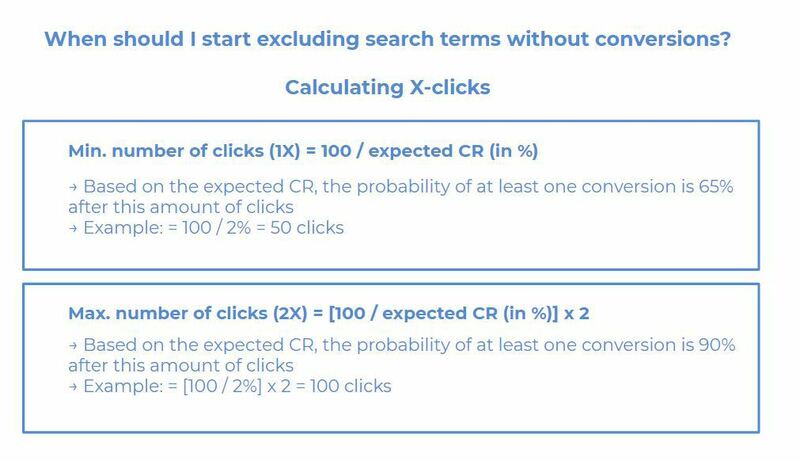 In addition, we recommend that you wait for a set value of “X clicks” (rule of thumb) before optimizing campaigns (see below for details). Add irrelevant/costly keywords as negative. Optimize or transfer profitable search terms and keywords. Identify keywords in your ad campaign that are generating clicks without conversions. Exclude these unprofitable phrases as negative keywords to avoid further unnecessary costs. Case 1 – Irrelevant Keywords: Search terms that are obviously not relevant to the product in terms of content. Case 2 – No conversions: Unprofitable search terms that may be relevant to your product and generate clicks. However, the clicks do not convert into sales. How long should you wait before excluding the case 2 search terms? Should these terms be tested against a certain number of clicks before assuming that they are ineffective and unprofitable? Average PPC conversion rate (CR) of the product. If the PPC CR is not available, use the organic CR of the product. 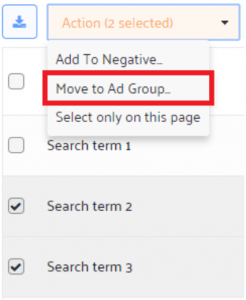 Note — ASIN search terms as negative keywords: ASIN search terms mean that the PPC campaign is displayed on the product page of the advertised product itself. However, you cannot add these ASINs as negative keywords to avoid displaying the product ad on its own listing. No exports necessary: Analyze search terms directly in the Sellics campaign manager instead of having to export them to Excel. Efficient management: Set one or more search terms directly to negative with a few clicks. 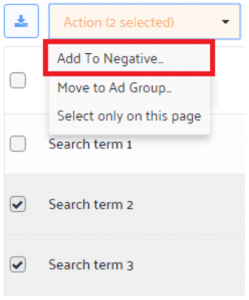 These negative keywords can be set for individual campaigns or applied to the entire account. 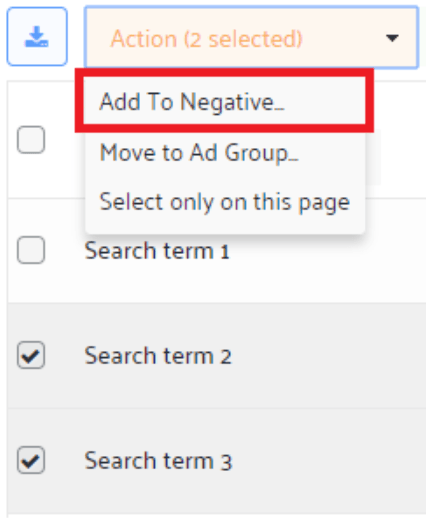 Automation: Automatically set search terms to negative according to your self-selected criteria. For more precise optimization, transfer well-converting search terms regularly from Automatic to Broad or from Broad to Exact ad groups. 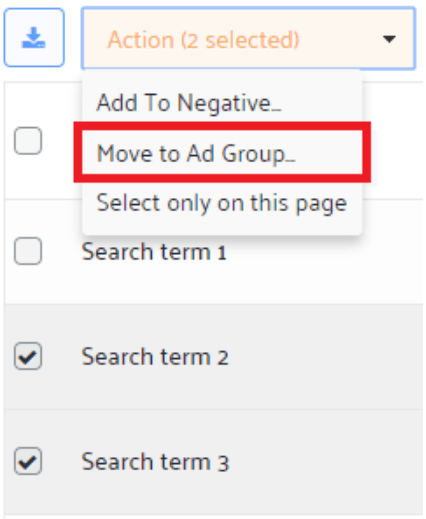 Don’t forget to add the transferred keyword as a negative keyword in the original campaign, so that it only receives traffic in the new ad campaign. From Auto to Broad: Keywords with a higher conversion can be transferred from the Automatic campaign to the Broad campaign. Simultaneously add the transferred keywords to the Automatic campaign as “Negative Phrase” keywords. 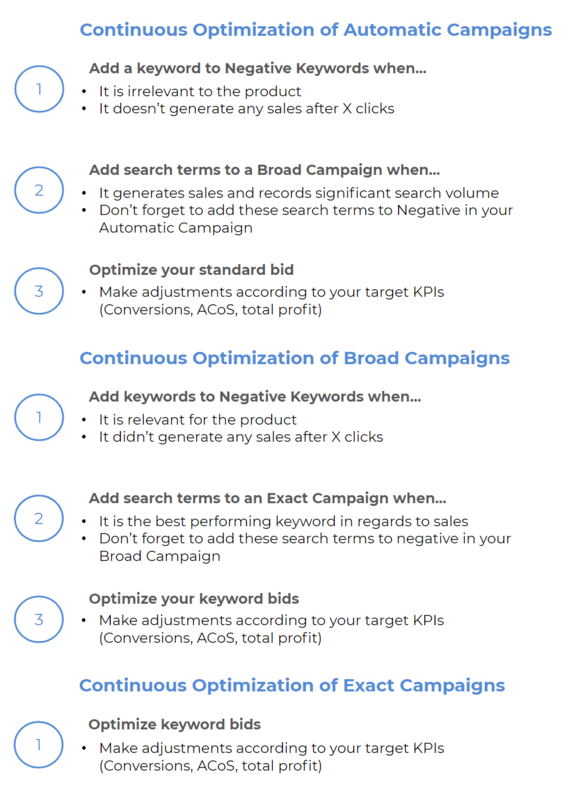 From Broad to Exact: The best search terms from the Broad campaign can be transferred to the Exact campaign. This is where they can be targeted most precisely to deliver the optimum CPC. As before, add the transferred keywords as “Negative Exact” keywords to the Broad Campaign. Note – ASIN search terms as keywords: ASINs as search terms mean that the ad was displayed on the details page of the respective product. However, adding ASINs as keywords is not useful. The ASIN is treated as a regular keyword, which is rarely used by customers in this form. 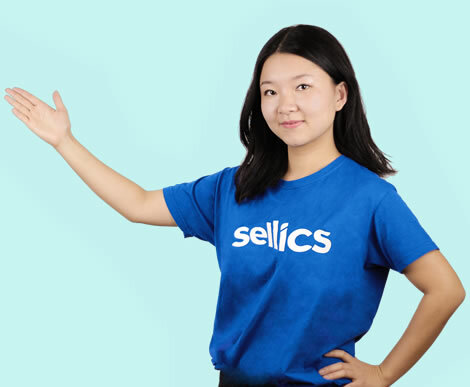 No exports necessary: An analyze search terms directly in the Sellics campaign manager instead of having to export them to Excel. Efficient management: Transfer one or more search terms or keywords to another campaign with just a few clicks. 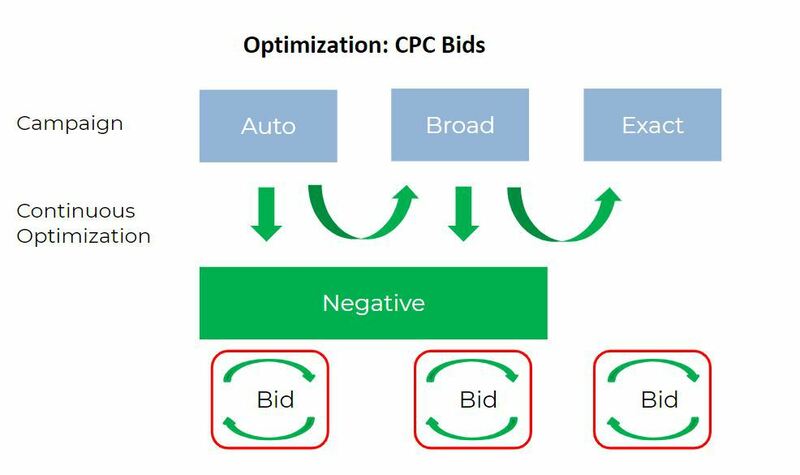 Both the standard bid of the automatic campaign as well as the keyword bids in the broad and exact campaign should be regularly adjusted and optimized. The relevant target values should be clearly defined so that different CPCs can be systematically tested step by step. Campaign with high ACoS: Reduce standard bid if ACoS > target value. Campaign with low ACoS: Increase standard bid if ACoS < target value. 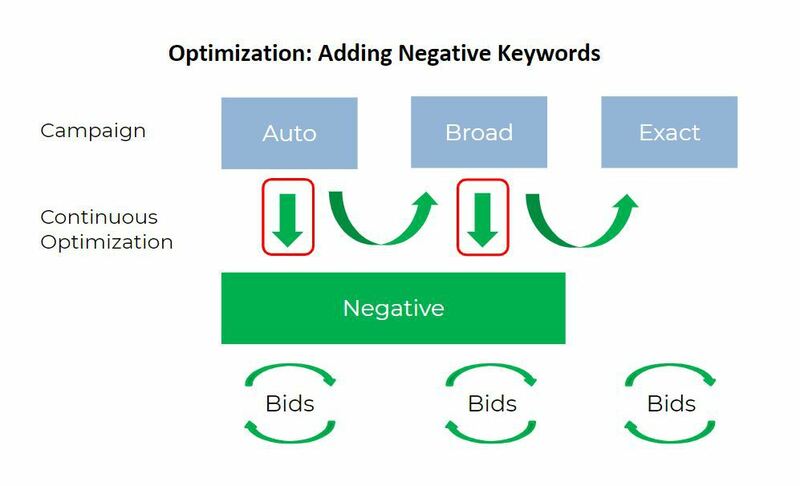 Keywords with high ACoS: Lower keyword bid if keyword ACoS > target value. Keywords with low ACoS: Increase keyword bid if keyword ACoS < target value. Keywords without conversions: Lower keyword bid or pause keyword. Keywords without or with few impressions: Check whether a keyword is missing in the product listing if no impressions are achieved. Test whether increasing keyword bids results in more impressions. Further detailed information on CPC optimization can also be found in this article. 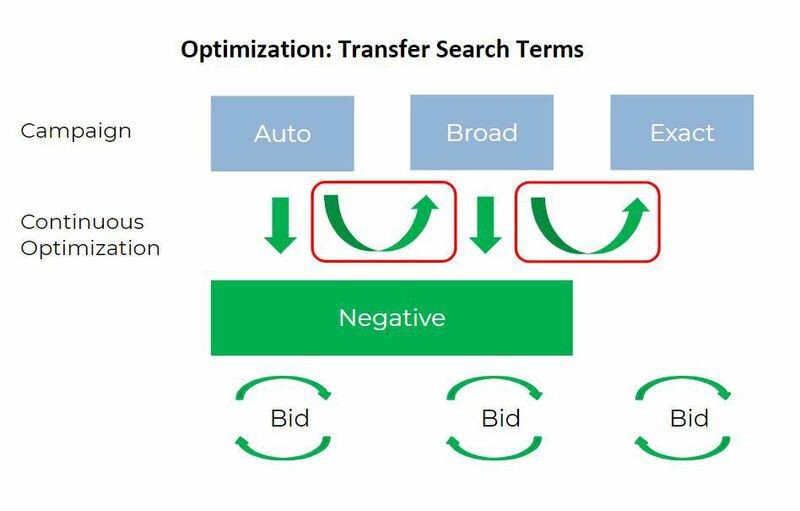 The manual management of bids and negative keywords can be very time-consuming. The AMS module of Sellics VE automates these tasks, thereby saving you a lot of time and effort. You can use our predefined automation rules or define your own. 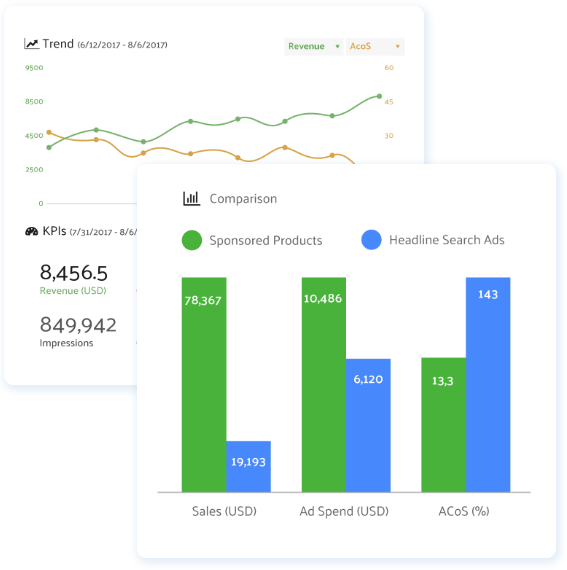 Analyze, optimize, and manage Sponsored Products and Sponsored Brands (previously Headline Search Ads) campaigns with the AMS Module of Sellics Vendor Edition. Maximum success with Amazon PPC campaigns- it’s never been easier! Wait at least 1 week to collect data before making adjustments to your campaigns. Regularly carry out the optimization steps described here for your "Automatic", "Broad" and "Exact" campaigns.